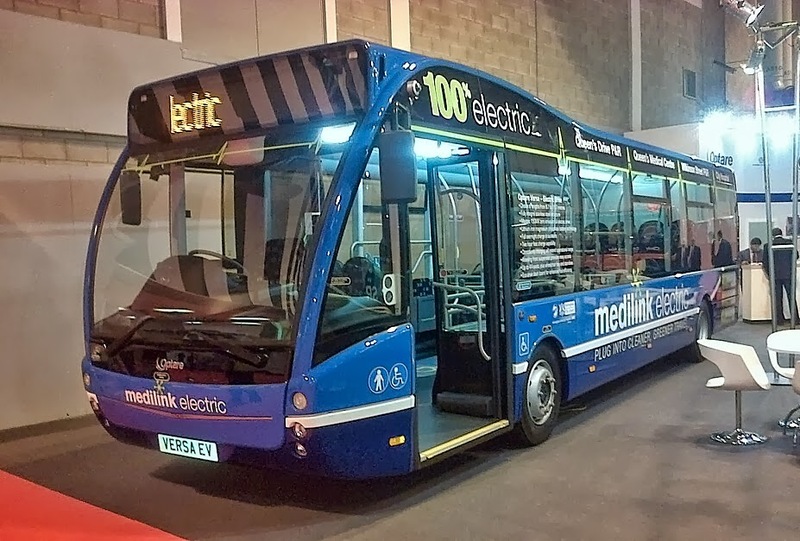 David Gambles and other members of the Focus Transport team are at the annual event at the National Exhibition Centre near to Birmingham in the West Midlands. 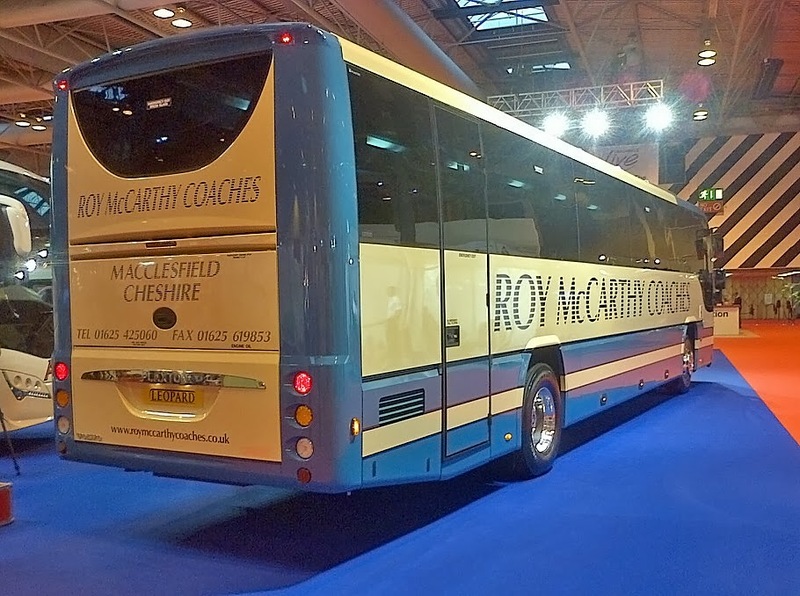 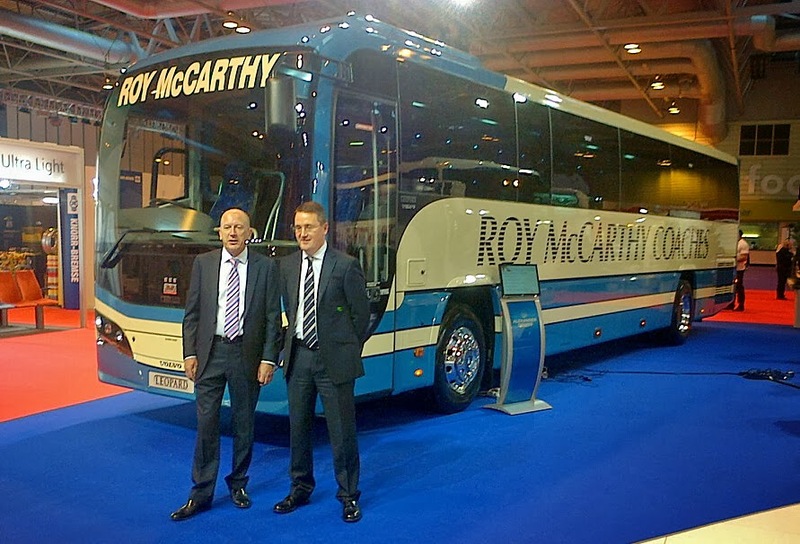 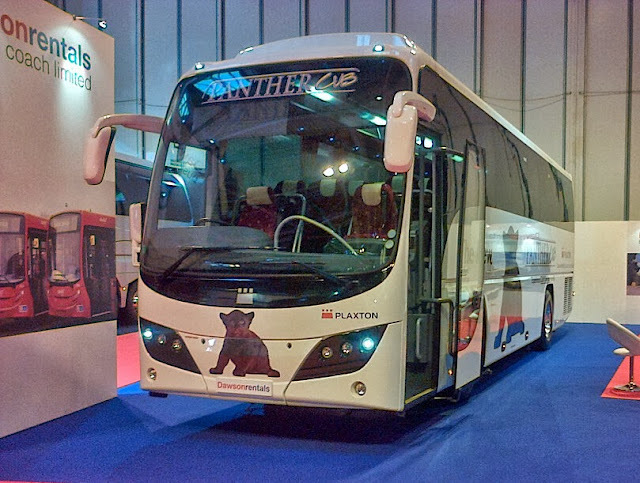 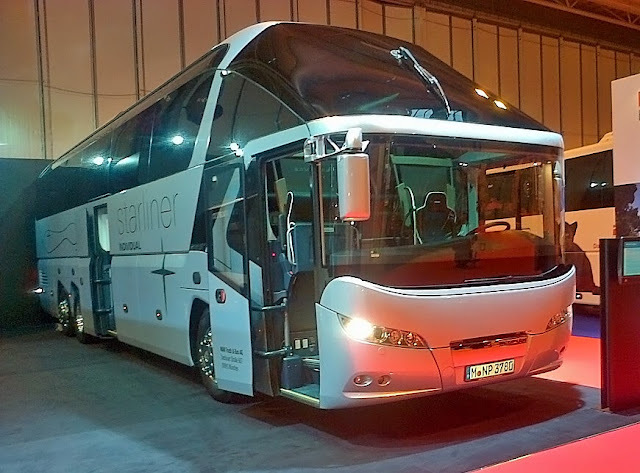 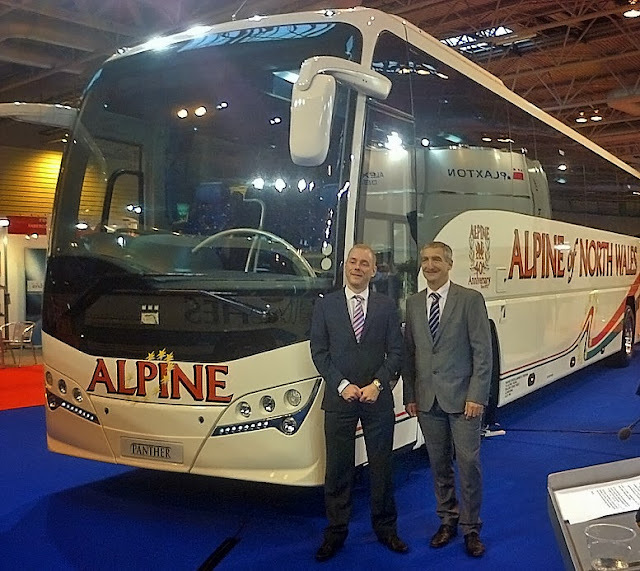 The name Leopard has been revived by Plaxton and appears on the launch vehicle supplied to Roy McCarthy Coaches of Macclesfield. 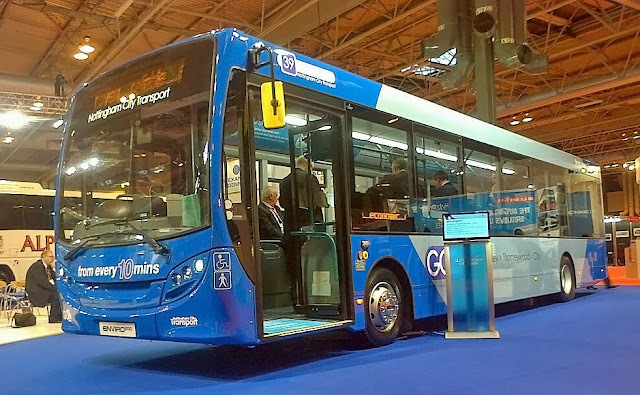 The Leopard was unveiled to the trade and the public today at 09.05 by Colin Robertson Chief Executive of Alexander Dennis Ltd.
And now herewith is a selection of images taken this morning and illustrate some of the vehicles present. 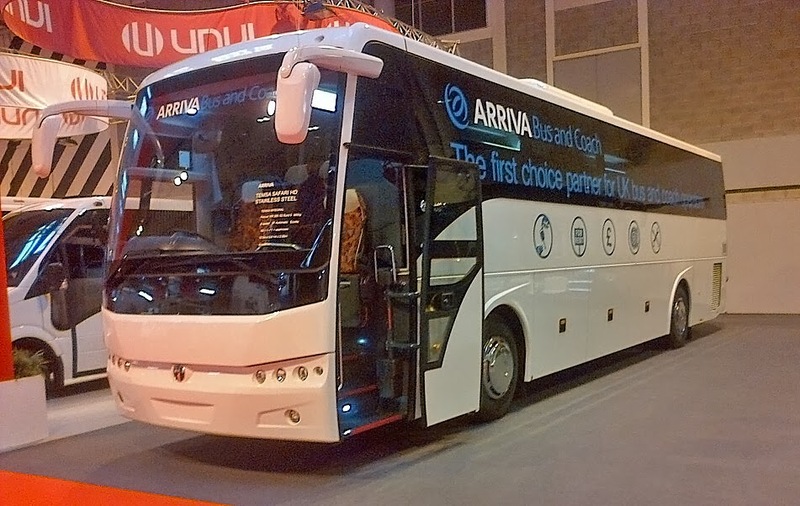 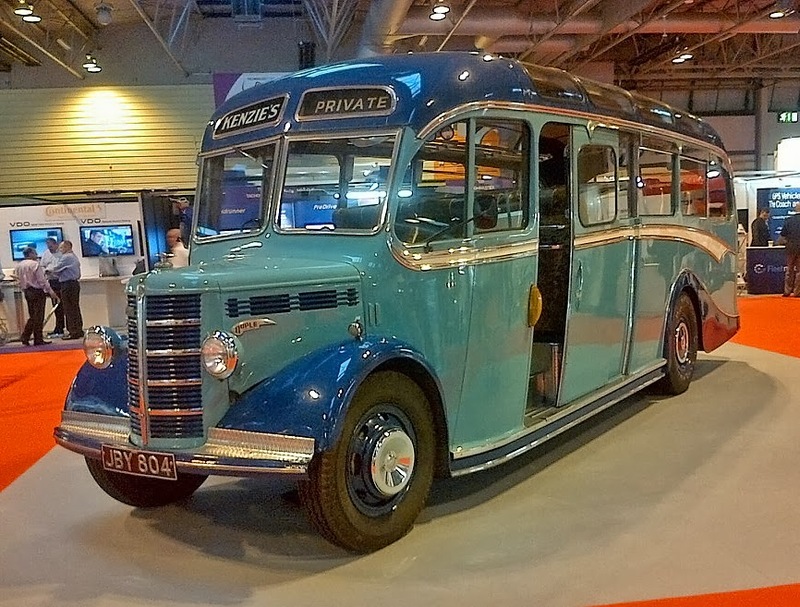 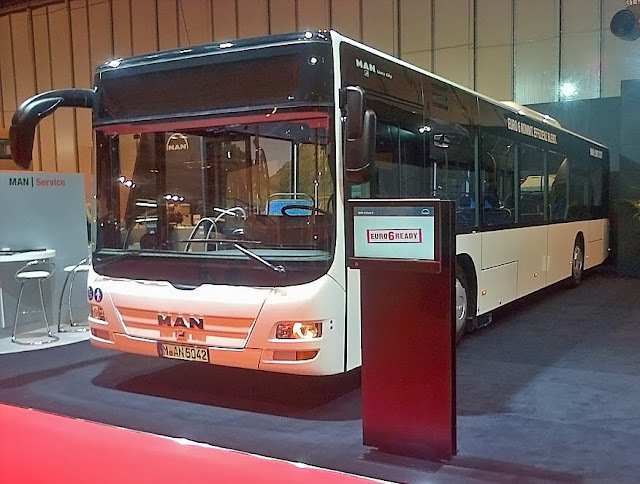 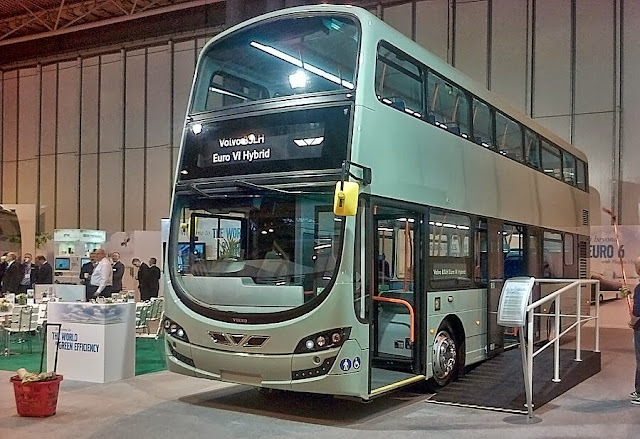 Amongst them are examples from Alexander Dennis, King Long, MAN, Plaxton, Volvo and a vintage Bedford. 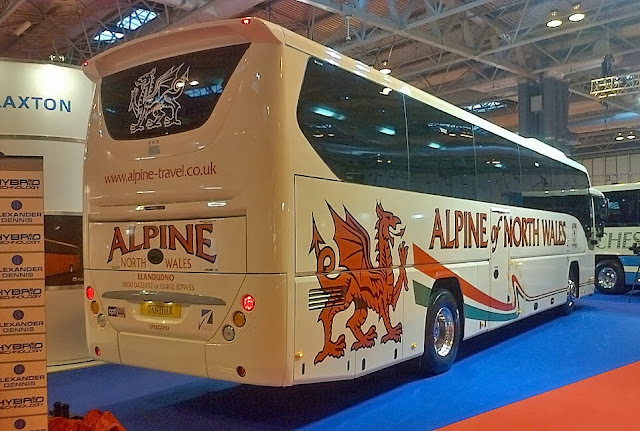 And finally it is evident that King Long intend to launch a new design later in the day. In the meantime a couple of other models pose for the camera.